My idea for heart healthy recipes is to help guide you to a healthier diet through my own personal experiences. I am NOT a professional but with my large family I have lived with my loved ones having heart problems, diabetes and other health problems. The one thing linking many of these problems is the diet which is being consumed. The old saying “You are what you eat” is definitely true. I will show you that as a cook you can take control of the food situation for your family. There is a lot of information available to help guide you also to heart healthy recipes. Websites such as the American Heart Association, The American Diabetes Association and the Us Government and others offer valuable information. Charts are there to help you make better choices in cutting fats from your diets. Guides, such as the Food Pyramid, will help you to make better choices in what to prepare and how to prepare it. There is information to help prevent and control high blood pressure. When you look at the statistics of overweight Americans you will understand why the diet of heart healthy recipes is so important. Over 60 percent of adults over 20 years of age are obese. One out of three children and teens are overweight with many developing diabetes. This is scary but we can get control of this. Yogurt Recipes on the light side. 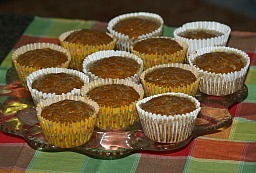 Professionals recommend starting the day with Healthy Breakfast Food; recipes for sugar free Carrot cake or carrot muffins. 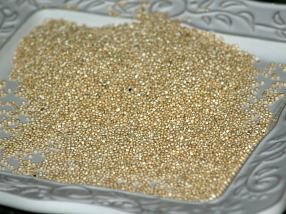 Learn how to cook quinoa; my Video shows how to wash it before cooking then I show how to grind it into flour. 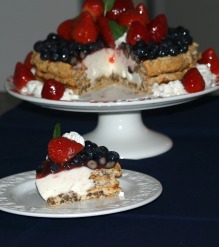 I include recipes for broccoli casserole, quinoa with vegetables and a carrot cake. 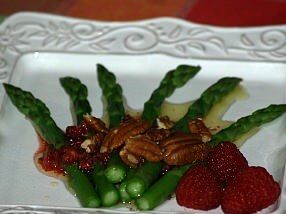 Good healthy recipes include asparagus salad, turkey cutlets, turkey sausage, eggplant dip, red snapper and grilled pork chops. The Food Pyramid is a way of guiding us to prepare a balance daily diet; recipes for baked flounder and falafel. There are many Health Benefits of Honey so try replacing sugar with honey; recipes for chicken wings, pork tenderloin and bread pudding. Top New Years Resolutions always include diet and saving money; read suggestions for both and how I started my website with recipe for mushroom lasagna. Good Diabetic Recipes include oven fried chicken, beef and rice, sugar free pumpkin pie, banana bread and applesauce cupcake recipes. There are many good Types of Butter Substitutes like margarine and oils if you need to make it a heart healthy recipe; recipe for raisin applesauce cake, corn chowder and chicken casserole. Garlic, herbs and spices make great Butter Substitutes for seasoning; recipes for roasting garlic, cooking green beans and cooking carrots. Juicing Cleanse try a juicing cleanse and an alkaline diet for better heart health. A while back I had to rush up home because my sister was in very bad shape in intensive care. She is a diabetic and when I got there it wasn’t very hopeful. She finally improved enough to be moved into her room. One day I noticed that she had received cheesecake and a pasta dish for lunch. When I questioned these choices, I was told that they were on her diabetic menu and the cheese cake was low sugar. After each meal, she was given an insulin shot. A few days later the doctor said I could take her home if I stayed with her. After the first day with me cooking for her high fiber heart healthy recipes and no sugar diets, without taking insulin after her meals, we worried that her sugar would drop too low. This is the difference that you can make as a cook using diabetic recipes. My husband had a heart attack many years ago. By cooking for him a well balanced and well planned diet I was able to help stabilize his condition thus preventing any further troubles. For myself, I had a battle with high blood pressure for several years. Diet solved that. I know that diet won’t solve everything for everyone. Some of us inherit conditions that are just there but the point is that a good diet can only do good. One problem with a lot of our diets (me too) is that we have gradually gotten use to larger servings. It is so important to weigh and measure everything we eat. I can put a scoop of food on my plate and then measure it. It is always more than what I think. Never less! I have belonged to a diet club many more years than I care to think about. I have battled my weight for most of my adult life. I just love good food. I guess that is why I am in this profession. I am a person that can eat a whole box of Girl Scout cookies from the shopping center to my house. The only way I could help my problem is not to have anything unhealthy within my reach. I have lost 67 pounds over the last 15 to 20 years and managed to keep it off. I still have 30 to 40 pounds to lose to keep my health in good shape. This heart healthy recipe is from Thailand and very flavorful. Heat oil in 4 quart pan over medium heat; add onion and cook until soft. Stir in garlic, curry powder, coriander and cumin; stir and cook for 1 minute. Add vegetable stock, cauliflower, salt and tofu; bring to a boil over high heat. Cover, reduce heat and simmer until cauliflower is tender about 8 minutes. Process soup in blender a portion at a time until smooth. Return puree to pan and add lemon juice; cook over medium heat stirring often until steaming. Garnish with parsley; makes 6 cups. This is one of my favorite chicken heart healthy recipes. Brown butter substitute slightly; add onion and celery and cook 5 minutes. Add chicken, mushrooms, water chestnuts. Soup, all seasonings, bell pepper and tomatoes. Simmer 25 minutes; add 2 cups broth as needed; taste and add more seasoning if desired. Add cornstarch mixed with some of the broth; stir and cook until thickened. Add mixed vegetables, bean sprouts and molasses; mix well and put in casserole baking dish. Cover and bake at 350F degrees about 60 minutes; serve with hot cooked whole grain rice.